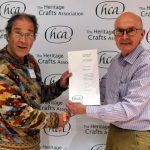 This Heritage Crafts Association Award is to recognise a heritage craftsperson who is outstanding in their specific craft and the contribution they have made to crafts in general. 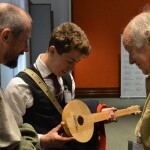 This award will recognise a contribution that is far beyond the ordinary, either a lifetime’s work dedicated to a particular traditional skill or an outstanding contribution to raising the profile of their craft. 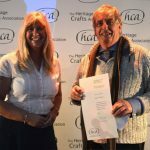 We expect this to be someone who makes excellent work and has done for a long time, someone who is held in high regard amongst their craft peers but it need not be the most glamorous or high-end craft; we promote the simple, humble crafts too. 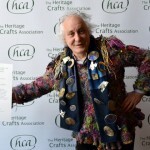 Anyone, including the maker themselves, can nominate for this award. 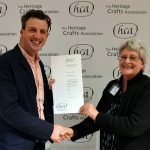 The winner will be announced and certificate and cheque presented at the HCA Conference in London on 9 March 2019.